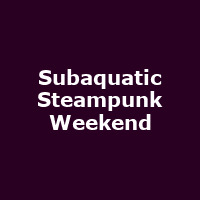 "The Royal Navy Submarine Museum will be holding its first ever Subaquatic Steampunk Weekend. Take a dive and enter a fantastical steampunk world full of nautical wonders, gadgets and gizmos. Come and take a look at the curiosities the steampunk market has to offer. Why not take part in our steampunk fashion show, tea dulling and art competitions. Be entertained by our Steampunk performers and musicians. Explore HMS Alliance, the only remaining WW2 era British ocean going submarine. Holland 1, the first Royal Navy submarine built in 1901, and X24, the only midget submarine to have survived from WW2."